Public Land Solutions (PLS) recently submitted a letter signed by 35 outdoor industry businesses outlining concerns over the Bureau of Land Management’s (BLM) proposed revisions to the 2016 Methane Rule. According to regulations.gov, over 600,000 comments have been received on the revisions. The current rule limits the amount of methane gas that can be flared and vented on public lands, requiring on-the-shelf technology to capture and sell the gas. It also requires companies to pay taxpayers royalties on captured methane, to the tune of an estimated $1 billion over the next 10 years. We understand the need for energy production, but it is time to acknowledge both the costs and benefits to local communities. Allowing oil and gas operators to use old technology will damage air quality and prohibit communities from diversifying their economies. A win-win solution is available by requiring operators to use best practices to protect air quality and the outdoor recreation economy. 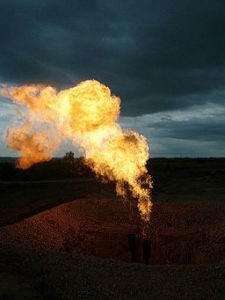 In Utah, studies have shown that over $28.4 million of natural gas is wasted on public and tribal lands each year through venting and flaring. The rollback of the methane rule is opposed by the overwhelming percentage of Utahns according to an Envision Utah Survey which showed that 75% of people in the state want cleaner air. While the future of the rule is uncertain, one thing is clear: the outdoor industry supports these regulations which allow communities to invest in recreation as an economic driver, and support cleaner air and job creation. You can read more about PLS’s work on methane here. You can read more submitted comments on the revisions here.